The Apple II is everywhere, as evidenced by these reports. Movie, documentary, graphic novel, opera — the story of Steve Jobs has been adapted to multiple media. Rarely does his counterpart, Steve Wozniak, share that top billing, despite having played as essential a role (if not more so) in the founding and success of Apple. But in 2014, one publication not only corrected that oversight; they also brought Apple's story to an entirely new format. 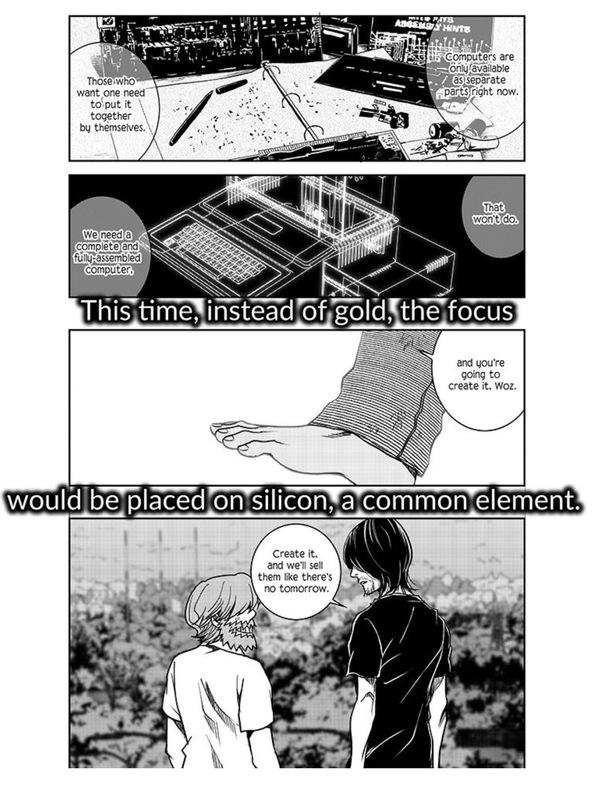 Steves is a six-volume manga, introducing us to the founders of Apple in a quintessentially Japanese style. The author, Keiichi Matsunaga, has a long history with the Apple brand: "I was pulled into this world when I saw the beautiful computer, the Apple II, in Akihabara when I was a student," he writes. His version of the Apple story is based on true events but is highly fictionalized and dramatized, as is typical of anime and manga. 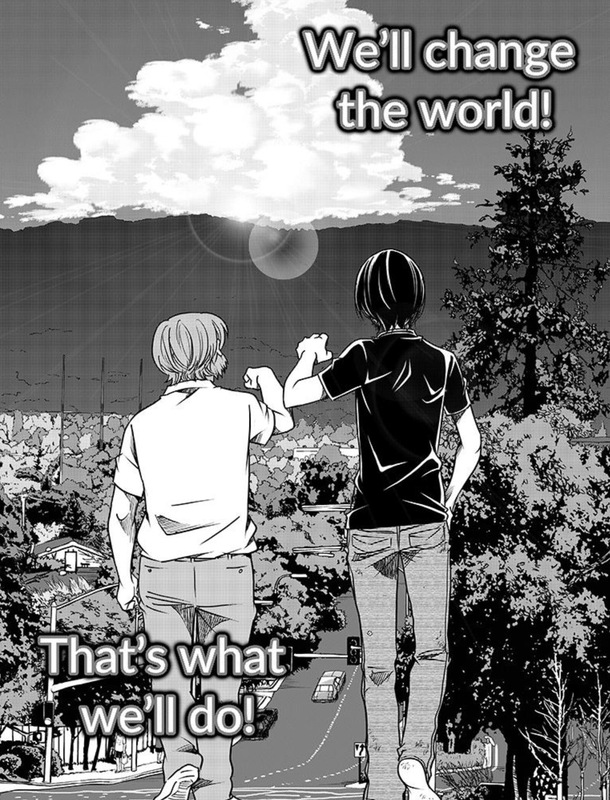 Remember, manga is read right-to-left. The only problem for us Western readers: the book was published in Japanese. Fortunately, there's now a Kickstarter to translate Steves into English. All eight chapters of the first volume, which spans the invention of the Apple II through the introduction of Mike Markkula, have already been translated and are available online for free through December 18. I read the first chapter and enjoyed the dramatic retelling of various historical anecdotes, chuckling aloud at Woz's brilliance and Jobs' arrogance. Getting the remaining volumes in English is no cheap affair: the Kickstarter offers no physical editions, and the entry point for getting them digitally starts at $60. The most affordable reward is $10 for the first digital volume, which, as mentioned, is already free. In the creators' reddit AMA (Ask Me Anything), they were asked, "Do you have any plan of hard copy option for this Kickstarter project?" Their answer: "Most unfortunately, we do not at this time. If you know any publishers who might be interested in printing it please give us a shout!" At the time of this blog post, the Kickstarter campaign has raised about 28% of its goal and has less than half its fundraising period left. The website Kicktraq says the project is trending toward only 47% of its goal by the December 17 deadline. I hope this project succeeds, but if they don't, I encourage them to research alternative publication and distribution methods and return to Kickstarter with more attractive rewards.